The skies were crystal clear, the sun was brilliant, and the ocean winds were calm that day in dramatic contrast to the previous three days of cold, tumultuous seas driven by gale force winds. The Swiss rescue ship Celerena lay some 8 miles off the point known as Galley Head off of the south-west coast of Ireland. Two bright yellow ambulance helicopters of the British Royal Air Force stood by to initiate an airlift of 17 most seriously injured survivors* of the ditching of Flying Tiger Flight 923. From Galley Head point, the distance to the brand new Cork Airport was some 29 miles across some of the greenest hilly farm country in the world. 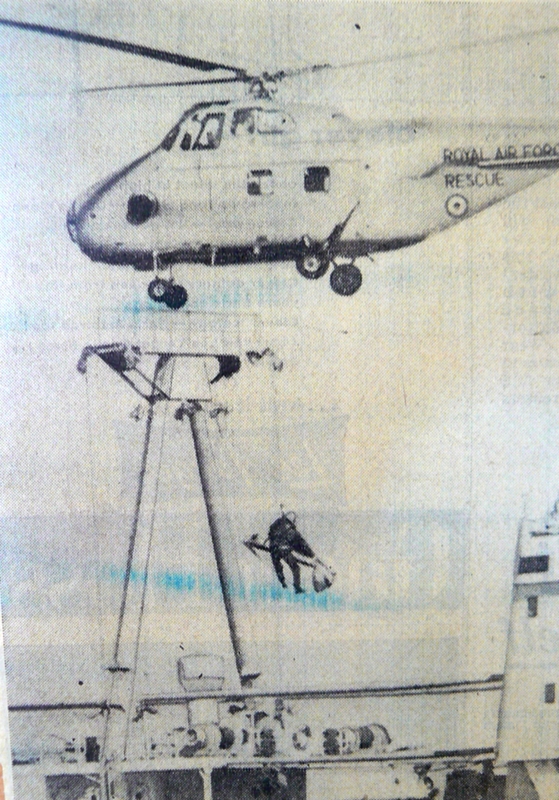 According to reports, the first airlift took an hour and 23 minutes. Sixty of these minutes were spent in actual flying time and 23 minutes in taking the injured on board from the ship. from the helicopters into ambulances and transported to Mercy Hospital in Cork City only a few miles away. The tarmac of the new airport was alive with activity with medical rescue crews, equipment and a large delegation of news media personnel. Pvt. Frank Ruffolo of Chicago. Samuel T. Nicholson, of Wilkesbarrie, PA, the aircraft’s navigator and 17th passenger flew from Cork on a commercial line to Antwerp, Belgium, to give evidence at the inquiry which was to be held by the US FAA and CAB according to newspaper reports. This inquiry was to start as soon as the pilot of the airliner, Capt. J. Murray arrived at Antwerp on board the Celerina. 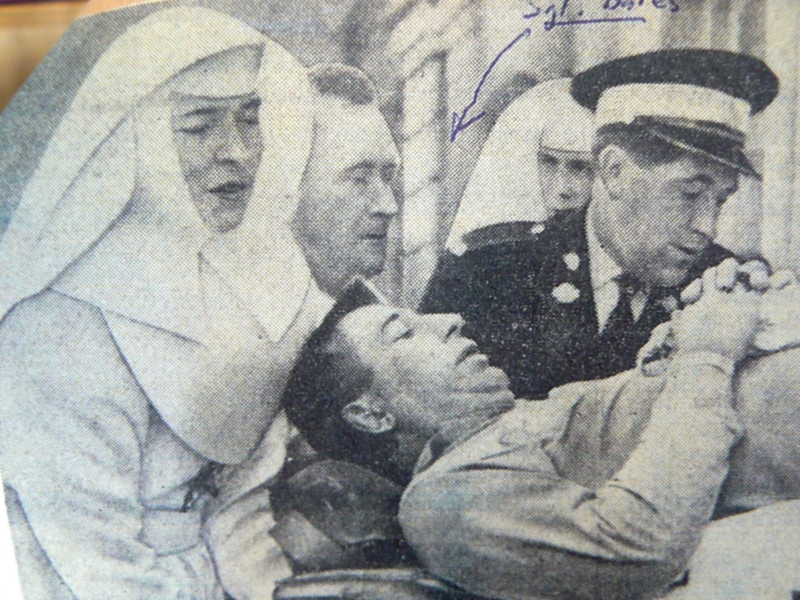 Gary Ahern of the first emergency rescue team at the new Cork Airport, shown with fellow airport workers Donie Harris (left) and Michael McAuliffe in 1988. The Cork Airport had been open for only one year. It’s first emergency rescue team had hardly been organized, but one of its first members, Gary F. Ahern, remembers the event well. 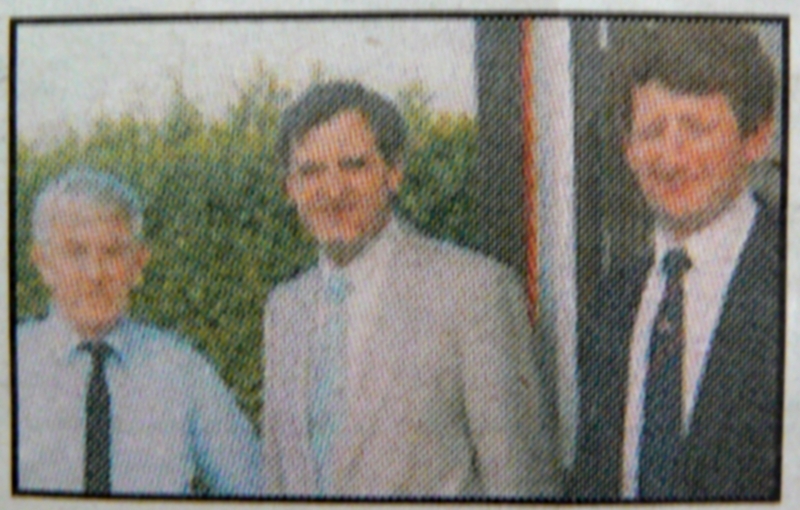 He and his colleagues posed for a group picture in 1988. 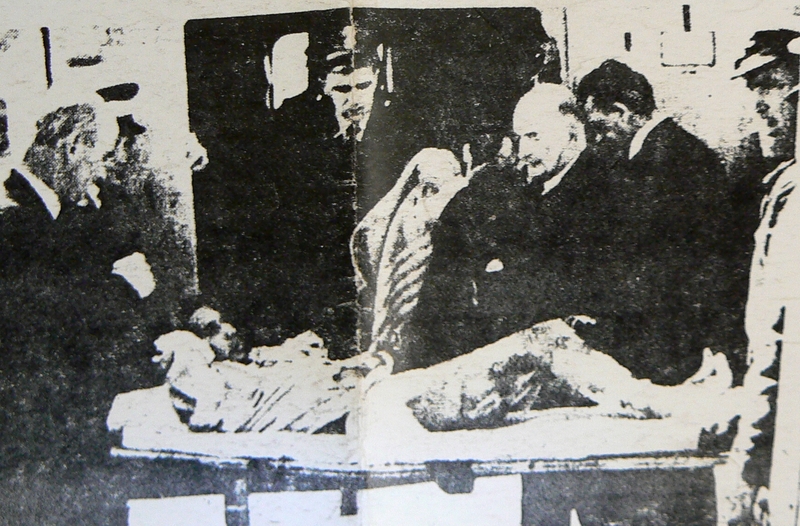 With him were fellow airport workers at the time, Donie Harris (left) and Micheal McAuliffe. We will carry a story of his and their recollections of the event in weeks to come. *Several others had been airlifted from the Celerina during stormy weather the day earlier by way of Canadian Air Force Helicopters to the Canadian Air Craft Carrier Bonaventure to accompany dead and injured. 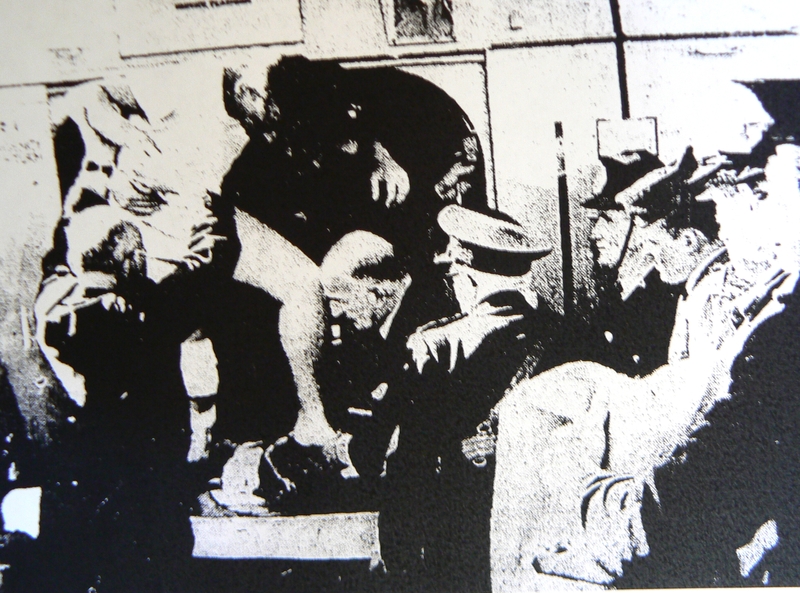 Captain John Murray was part of this emergency airlift, but was returned to the Celerina upon securing the others in order that he could accompany the remaining survivors to Cork and Antwerp, Belgium. This entry was posted in new combat troopers, passengers, rescue teams. Bookmark the permalink.